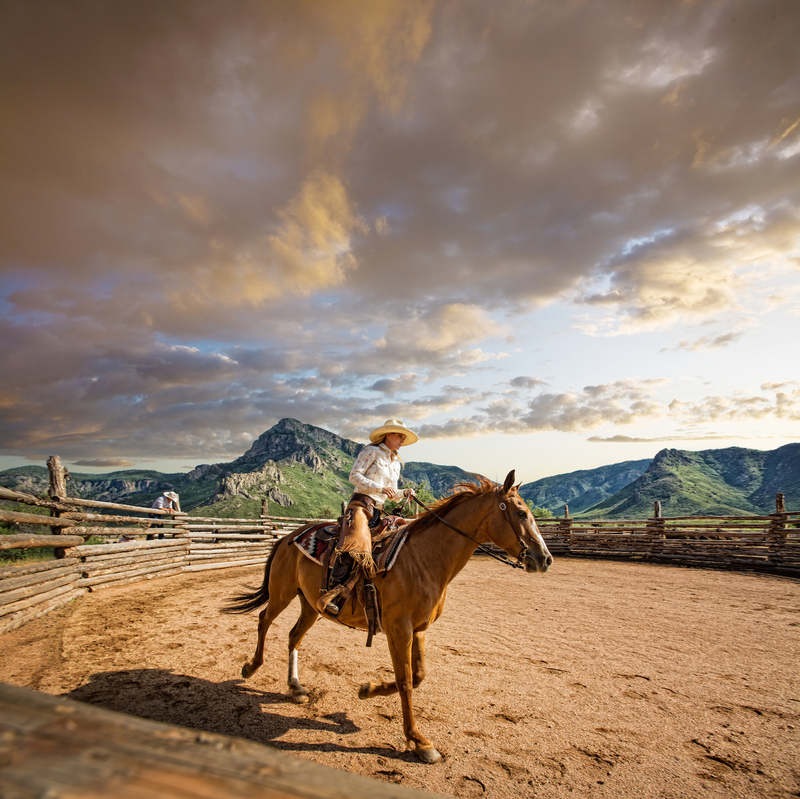 Voted the #1 best hotel in Colorado and #12 in the world by Conde Nast Traveler’s 2014 Reader’s Choice Awards, Gateway Canyons Resort & Spa is so much more than just another adventure resort. It is a one-of-a-kind luxury destination about discovery, nature, and history; a beautifully manicured tranquil oasis for those who love the great outdoors but also have a taste for the finer things in life. Situated in a blissful setting where five glorious canyons come together, Gateway Canyons is known as the world’s first and only Discovery Resort. In fact, the owner and mastermind behind the hotel is John Hendricks, the founder of the Discovery Channel. This place sets itself far apart from any other resort of it’s kind in that it is not just about the jaw-dropping scenery that surrounds the property. It is geared towards learning and cultivating the curiosity of the many intriguing natural wonders of the area. For example, in addition to a giant adventure center, the resort has its own “Curator of Curiosity”, a charismatic local man named Zebulon Miracle, whose passion is to connect people with the local lands, geology, cultures, and history. 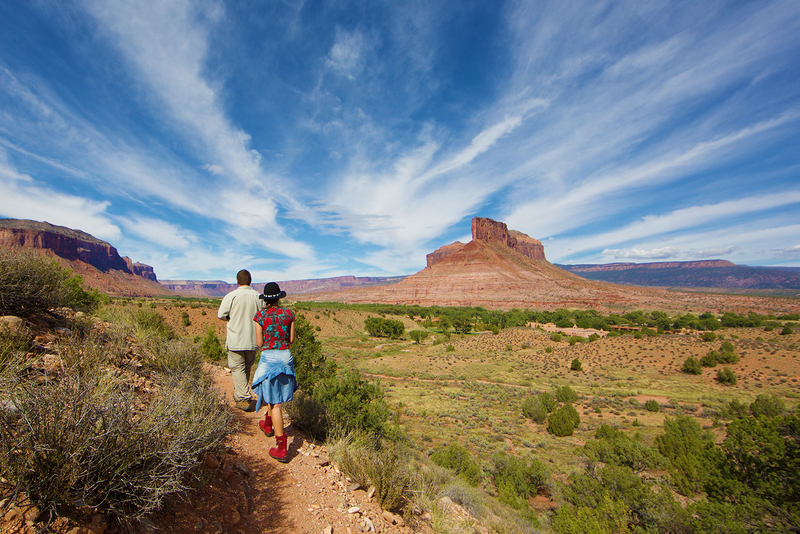 Zebulon leads guests on private guided hikes and excursions where they can learn everything about the miraculous marvels of the canyonlands. Another very interesting and unique fact about Gateway Canyons is that it sits next to a spot with the highest concentration of dinosaur fossils on the planet. 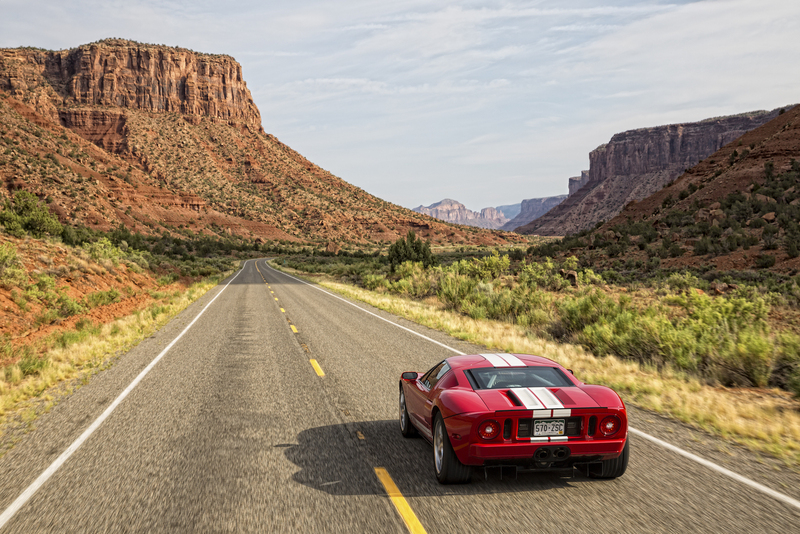 The surrounding canyons reveal over 100 million years of our earth’s geological history. Additionally, have you ever been a guest in a hotel that houses an auto museum displaying 60 of the most prized, impeccably preserved, rare and historic American cars? 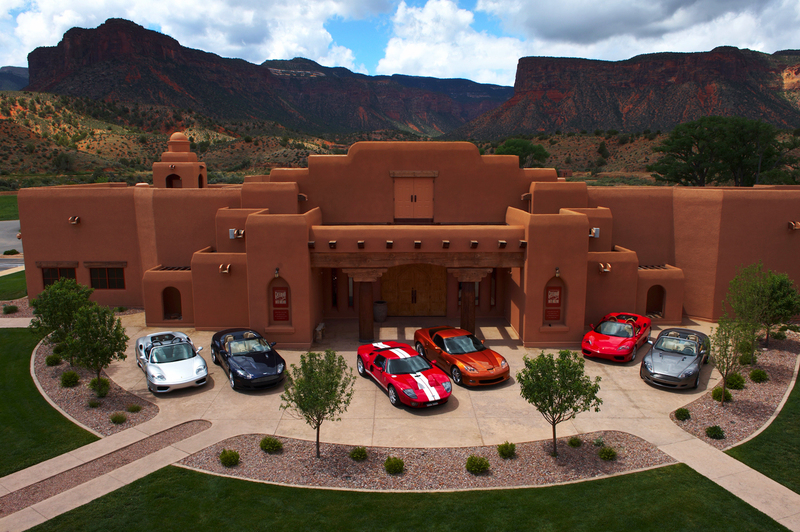 These things are only a small part of the fascinating pieces of history just waiting to be discovered around Gateway Canyons Resort & Spa. 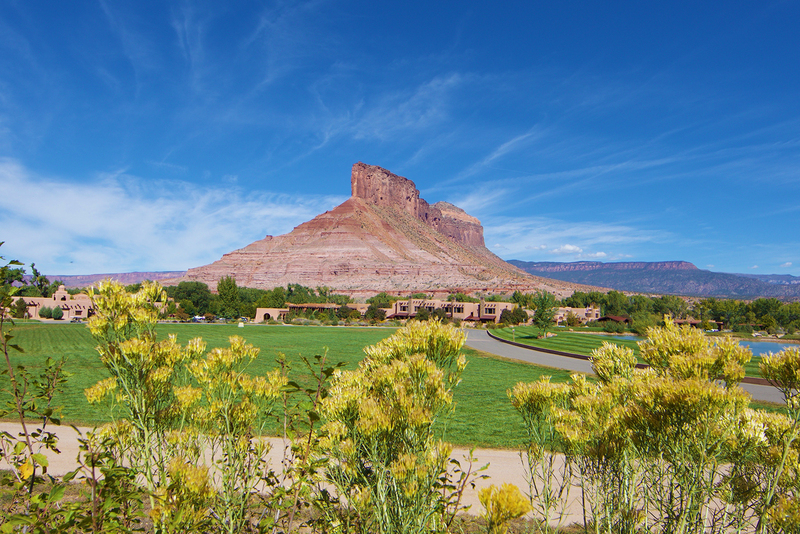 At Gateway Canyons guests have the choice of booking one of the resort’s 58 guest rooms or one of their 14 private Palisade Casitas. The Kiva Lodge is a block of 38 rooms ranging from 480 to 1,100 square feet, all positioned around the Kiva pool and hot tub. Each includes SpringAir pillow-top beds with 400 thread count Bellora Egyptian cotton sheets, 42′ flat screen TV, Wifi, work station, wet bar, mini-fridge, and coffeemaker. Some of these suites are two-bedroom and have their own private outdoor terrace with a hot tub and fire pit. 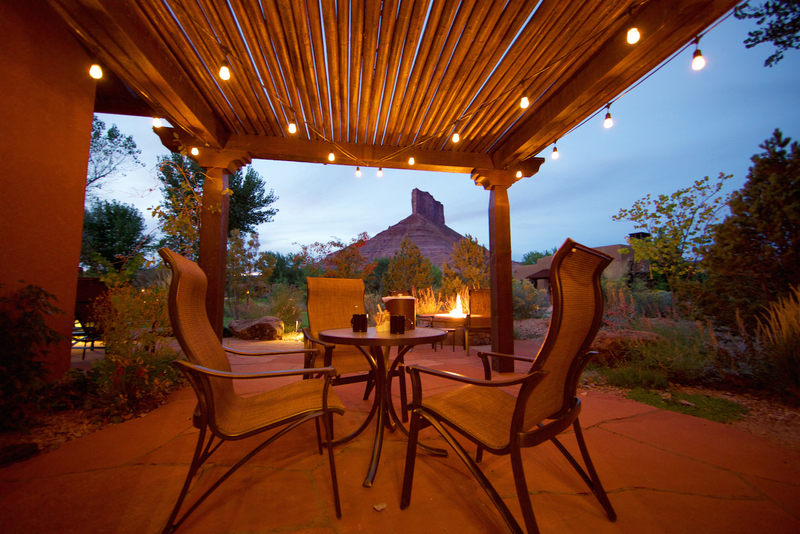 The Kayenta Lodge has 20 rooms ranging from 485-650 square feet with Springair pillow-top beds, 400 thread count Bellora Egyptian cotton sheets, a 42″ flat screen TV, fireplace, WiFi, work station, mini-fridge, and coffeemaker. All rooms have a private outdoor balcony with a fire pit. There are also 2 signature rooms which have a large outdoor courtyard their own private hot tub and fire pit. The 14 Palisade Casitas range from 875 to 2,075 square feet and feature custom artisan furnishings, hand-carved Peruvian doors, and rugs imported from Turkey. The spacious bathrooms have a deep soaking tub and large indoor shower, as well as an outdoor garden shower. Each boasts its own private outdoor patio and fire pit, revealing spectacular views of the dramatic Palisade rock formation. 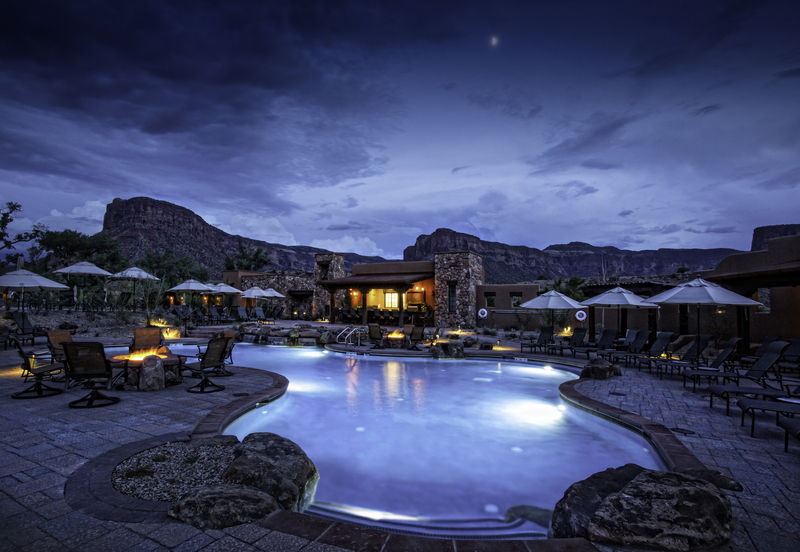 Guests staying in casitas luxuriate with their own personalized butler, priority reservations, a cabana reserved at the Palisade Casita Pool, complimentary wet bar and snacks, round-trip transportation to and from Grand Junction Airport, and private in-room dining and spa services. Want to learn to race off-road in a Pro-Baja Truck for an extreme driving experience you can’t get anywhere else? Gateway Canyons Resort has their own private 2 mile closed racing track. Fancy an air tour of the Grand Canyon? Heli Skiing in Aspen, Telluride, or Vail? Gateway Canyons has its own Eurocopter A-star – an elegant luxury helicopter that can be booked and customized to satisfy your deepest adventure desires. Or, if rock climbing is your thing, you are in for a fabulous treat. Climbing to the top of the Palisade Rock Formation or through Unaweep Canyon offers spectacular views and the climbing experience of a lifetime. Like to mountain bike? There is no shortage of scenic biking trails around Gateway Canyon. Mountain bikes and gear can be rented directly from the resort. For a more leisurely adventure, cruiser bikes are complimentary to all guests. Gateway Canyons also has a sporting clay shooting range, hiking trails, wine country tours, fly fishing, kayaking, tubing, horseback riding, river rafting, and more. You won’t be bored! 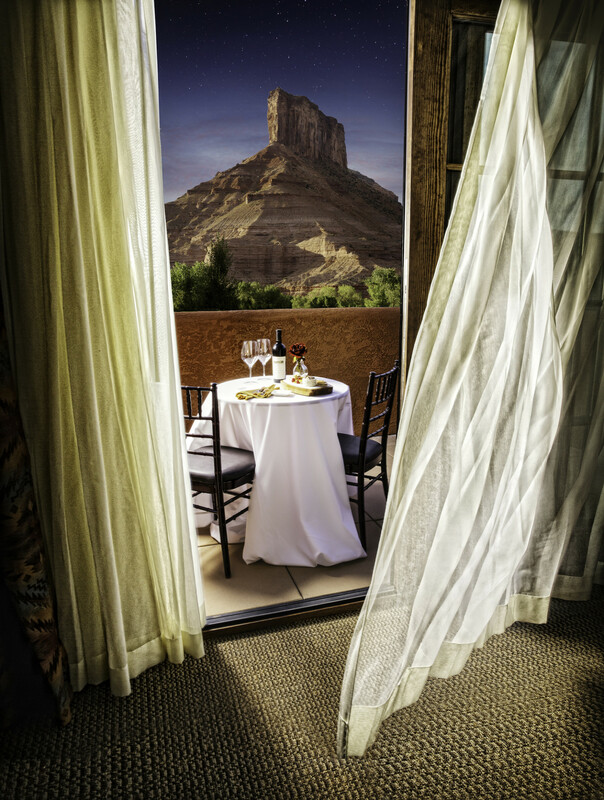 Entrada Restaurant: Gateway Canyons upscale dining option offering up hearty dishes from the Colorado Plateau. Open for breakfast and dinner. Paradox Grille: Laid-back southwestern cuisine is what’s cookin’ at the casual and fun Paradox Grille. Open for breakfast, lunch, and dinner. Kiva Cafe: Coffee, pastries, and light breakfast and lunch options are offered at this Starbucks style cafe. Duesey’s Diner: A seasonal vintage food trailer serving American classics. 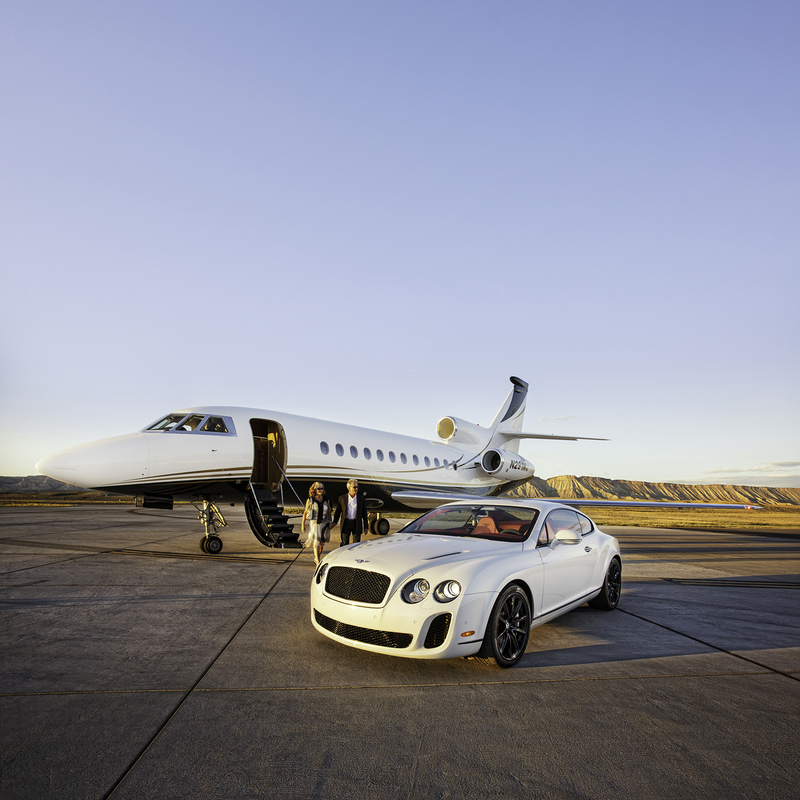 The closest airport to Gateway Canyons is Grand Junction airport (GJT) which is usually an hour and 15 minute drive. You can book transportation through the hotel or rent a car and drive. Gateway Canyons is a wonderful place to visit year-round. Fall is my favorite time to visit because the weather is mild. In the winter guests who enjoy the snow can helicopter over to Telluride to ski or take part in other winter sports. Be sure to leave some time to book a guided hike or excursion with Zebulon Miracle, the resort’s Curator of Curiosity. There is an adventure center on-property so you easily can book all of your activities from the resort once you arrive. 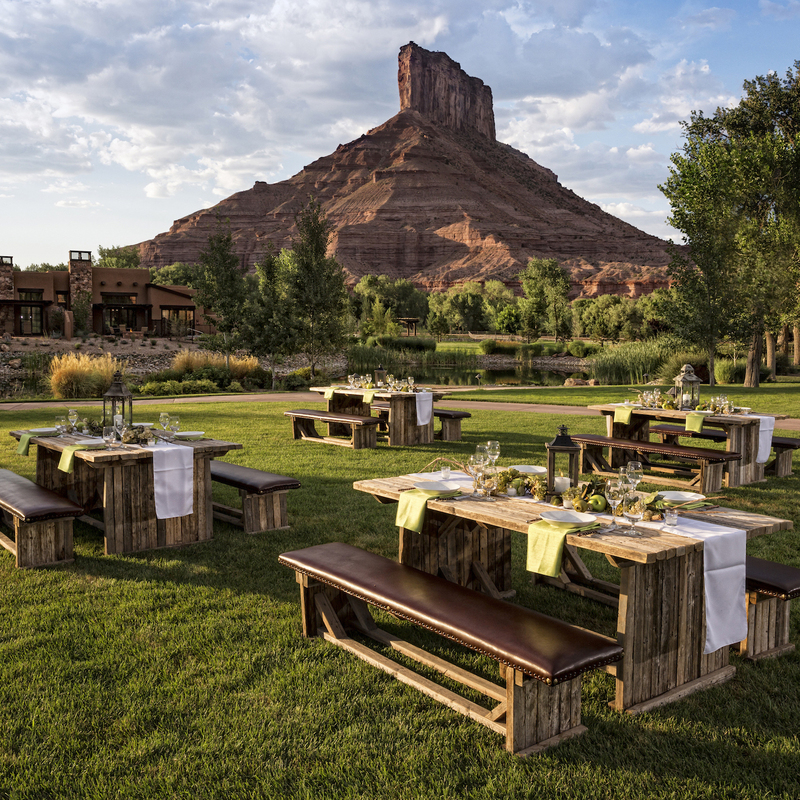 With so many exhilarating wild adventures, great restaurants, and a luxurious spa, Gateway Canyons would be a perfect spot for a wedding, group event, or bachelor/ bachelorette party. Gateway is a tiny town with not much else around, other than National Parks. So don’t worry about getting dressed up and just pack casual attire. Moab is a great day trip from Gateway Canyons. Consider adding this to your itinerary. Don’t schedule too short of a stay or you’ll regret missing all of the wonderful activities available through the resort. I’d recommend a minimum of 3 days. Even if you don’t love cars, check out the auto museum. It is fantastic! Like the look of Gateway Canyons? See pricing info and availability below. I was invited to stay as a guest of Gateway Canyons Resort, but the opinions expressed in this post are, as always, my own. Hi Misha, wonderful write-up! 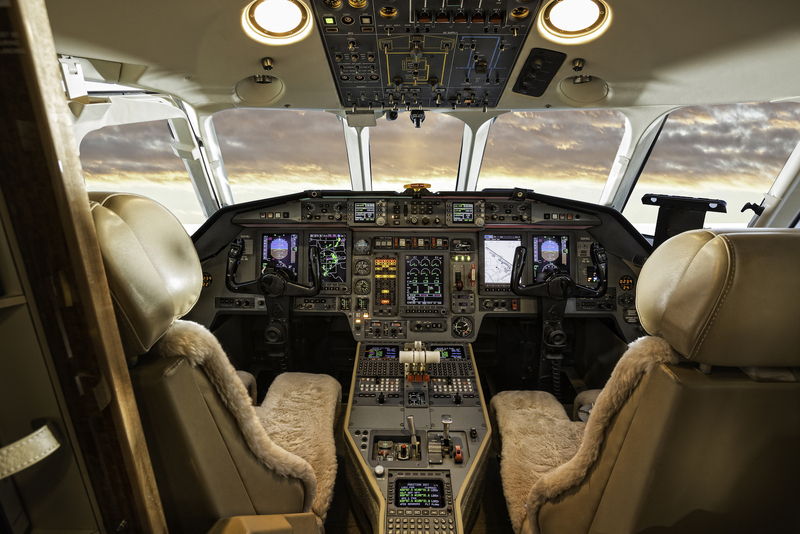 One small correction, our aircraft (helicopter) is a Eurocopter A-star, not Cessna Caravan. Hope you will come back and see us soon!